So, you have decided it is time to lose a few pounds and you don’t want to spend 2 years doing it. 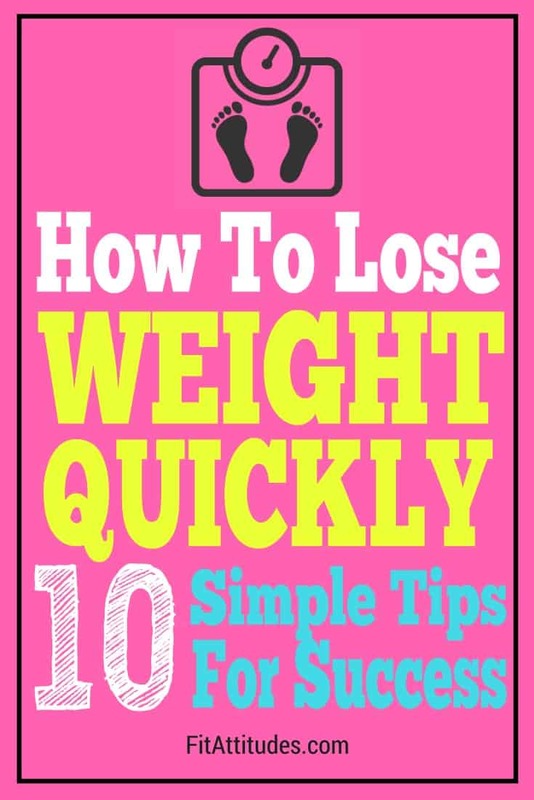 You are wondering how to lose weight quickly. There are steps you can take to get the weigh off rapidly. Keep in mind you need a plan that is safe and sustainable with sustainable being the key. A lot of people lose weight. At the end of the day, it is all about keeping it off and being healthy. After all, if you can keep the weight off, you only must go through the process of losing it once. There are no benefits to your body to lose 50 pounds just to regain it and then some. And then you must figure out how you are going to lose the weight again. Everyone likes to see progress. We are a nation of instant gratification, so why not lose the weight quickly? There are lots of efficient ways to lose weight. Follow these tips and you will see the weight come off rapidly. Jump in and get started. The most effective food plan for weight loss is the one you can stick to for an extended period of time. Picking diet that is a fad or makes outrageous promises is setting yourself up for failure. Diets with outrageous claims are very restrictive. 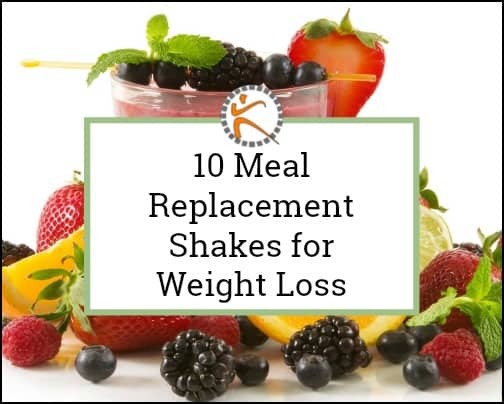 Meal replacement shakes are a good example. 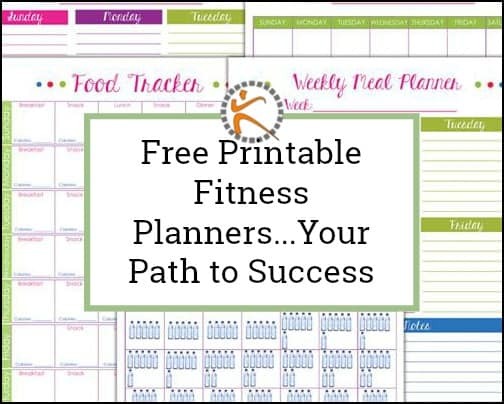 They are a great option, but not something I would use as a primary plan for losing weight. I have never found the 2 shakes, 1 meal per day plan to be something I could stick to more than a few days. Be willing to be flexible with you eating plan. Just because your “diet” does not allow it, does not mean you cannot not eat it. As long as you plan to eat a reasonable portion to satisfy the craving and don’t allow the portion to become a binge, enjoy it and tomorrow is a new day to make healthy choices. Nothing bad can come from drinking water. It seems like all the people I see that carry water bottles regularly are of a healthy weight. There must be a reason for that. Here are 10 benefits of drinking water. As easy as drinking water is and with all its benefits, there is no reason not to drink it. If you are going to from not drinking water at all and trying to target 64 ounces, start out with 16 ounces in the morning, 8 ounces at lunch, 8 ounces at dinner and 8 ounces in the evening. If you add 8 ounces a day each week for the next 3 weeks, you will be at 64 ounces per day by the end of a month. If you think water is boring, try adding a piece of fruit, a slice of cucumber or a sprig of mint. Not only will it give the water a little bit of flavor, it will add visual appeal to your water. 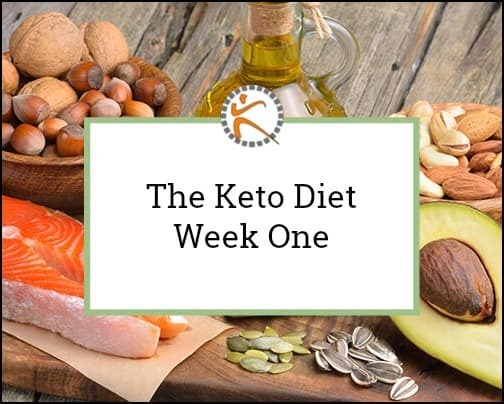 There is so much information available on the Keto way of eating, you at least owe it to yourself to see what it is all about. Simply put, the keto diet is very low carb, with mostly protein and fat as the other foods. When I started Keto, I eliminated bread, pasta, rice, potatoes and sugar. After the first week, I had no cravings for these foods. Do I consider these foods “off limits”? No, I don’t, but I do pick and choose very carefully when I eat them and how much. I never was much of a rice or pasta person. I may have a bite or two of bread or potato if I am eating out. Sugar…hmmm. That is a tough one. I will eat a bite or two of a dessert from time to time. Three foods that I consider “red light” for me are doughnuts, anything with butter cream frosting and ice cream. I feel like if I were to eat those foods, I probably could not stop at a single serving. 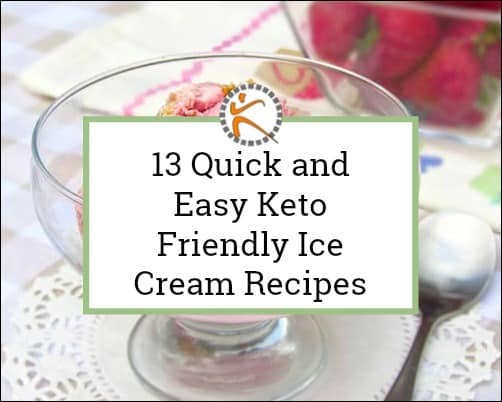 Overall, once I got past the first few days of the Keto way of eating, it became very easy. 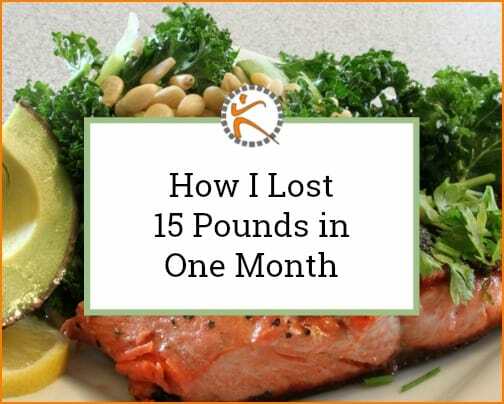 I lost 8 pounds the first week and was down 19 pounds by the end of the second month. The big benefit from fallowing this plan was the increased energy. To get to this point, it was worth giving up everything listed above. Intermittent fasting just sounds scary, but it really is not. When someone says the word “fasting”, days of nothing but clear liquids comes to mind. What I am referring to is picking a designated 8-10 period in your 24-hour day and eating only during that 8-10-hour period. So if you eat your first meal at 10am, you should have eaten your last meal by 6pm, if you are using the 8 hour plan. It is hard for me not to eat after 6pm. I think it is a mental thing…just the idea of thinking that I can’t have something causes an emotional reaction. What I do is eat sugar-free popsicles. I can eat 3 with a total of 50 calories and about 10 carbs. That gets me through the night and I feel lighter the next morning for allowing my body to go for an extended amount of time with little or no food intake. I don’t intermittent fast every day, but 2-3 times a week seems to speed weight loss. If you have hit a weight loss plateau, try intermittent fasting for 2 days (not in a row) and you should see a weight loss within the week. There is not much that needs said about exercise. It is necessary. If you don’t make it part of your life, you will have consequences sooner or later from living a sedentary lifestyle. The latest buzz phrase is “sitting is the new smoking.” If you have not exercised in a while start by walking 10-15 minutes. Do this 3 times a week to start. It seems almost every physical ailment you have can be benefit by some form of exercise. Getting started is the hardest part. What helped me the most was getting an activity tracker. There are very basic models as well as models that have all the bells and whistles. You can compete with others via some trackers. This is a great way to find an accountability partner. Exercise is another good tool for breaking through a weight loss plateau. Change it up, increase it, decrease. Just get out of your routine pattern. If you are going to shed the pounds quickly, you are going to need a plan for eating healthy when you are not at home. Make sure that you have healthy food in your home and available take with you when you will be at home to eat. Failure to have a plan for hunger when you are away from home will make quick and easy options, such as: vending machines and fast food restaurants very tempting. Planning also pertains to having removing foods from your home that do not fit into you new way of eating. If it doesn’t fit, it should go…at least early on. There are foods I can be around now and not eat them, because they do not fit the plan. There are other foods that I still don’t want in the house because there is the potential for me to eat the whole bag, box or whatever in one sitting. Meal planning and making sure the ingredients are available in your home will also help you stick to the plan and follow a budget. Stress is a big source of overeating. Look at ways to deal with stress that do not involve food. There is a wealth of information available that talks about healthy ways of dealing with stress. Find something you like to do and replace eating out of stress with the activity. Before you eat when things are not going you way, take deep breath and ask yourself if you are truly hungry. Or are you angry, tired or bored and are looking for a way of soothing these emotions. Listen to a song you like, journal for five minutes, look at a picture of your family…all these are quick stress relieving breaks you can take…even at work. It is difficult to control calories when you eat at restaurants. Many menus now include nutritional information and I am stunned by the number of calories in a restaurant meal. It is not uncommon for meals to have calorie counts approaching 2000. Making good choices are that much more difficult when you are faced with choices that may not fit your plan as well as portion sizes that are way out of control. Just because you have one day that did not go so well, does not mean that you must scrap the whole plan. The secret to being successful at losing weight quickly is to acknowledge that you could have made better decisions today, but tomorrow is a new day. Forgive yourself for today and start fresh tomorrow by making healthy decisions moving forward. 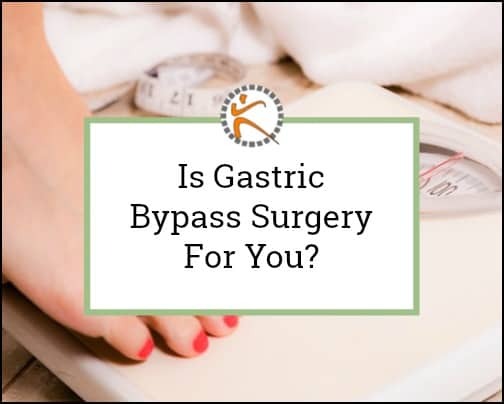 If you have foods that you cannot control portions, it is best to avoid these, at least for a while. Since I have been eating low carb, I feel like this list of foods has gotten smaller. I still feel like ice cream, chocolate candy, doughnuts and the like are still foods that could trigger a large problem for me. I avoid them completely and at this time I don’t know if I will ever eat them again. I am just to afraid that the 5-10 minutes it takes to eat those foods could undo several months of healthy eating. Losing weight and keeping it off is a marathon and not a sprint, but I know what seeing results does for motivating a person to stick with a plan. If I had to choose 2 items from the list above, it would be following a low carb diet (30 grams or less per day) and intermittent fasting (eating less than 300 calories for the evening meal) twice a week. These are the 2 things that have allowed to lose 15 pounds in my first month and 19 pounds in 6 weeks. Once you get past sugar cravings, you will have more control over your appetite and will find that you eat a lot less food.